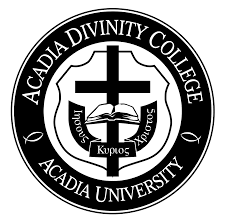 In a few weeks I’ll fly to Nova Scotia to give a series of lectures at Acadia Divinity School. The lecture series is known as the Hayward Lectures. Some of the best scholars in the world have been invited to give the Hayward Lectures. I’m not sure why they invited me. I’m not being modest. I’m being truthful. The list of past lecturers is a veritable “Who’s Who” in biblical studies: N. T. Wright, James D. G. Dunn, John Stackhouse, John J. Collins, Edith Humphreys, Emmanuel Tov, James Charlesworth, just to name a few. So I’m honored to be part of this series. And even if the majority believes there are many so-called gods in heaven and on earth (certainly many worship such “gods” and “lords”), this is not our view. 6 For us, there is one God, the Father who is the ultimate source of all things and the goal of our lives. And there is one Lord—Jesus the Anointed, the Liberating King; through Him all things were created, and by Him we are redeemed. The passage is Paul’s unique modification of a Jewish prayer and confession known as the Shema: “Hear, O Israel, the Lord is our God, the Lord is One” (Deut 6:4). Paul’s expanded-Shema acknowledges the unfortunate reality of idolatry in the world and then trumps the claim that the world is populated with many so-called gods and lords. They may be called “gods,” but “gods” they ain’t (if I can borrow a southern expression). They may be called “lords,” but “lords” they ain’t. For us (Christ-believers) there is One God, the Father, the source and goal of all reality, and One Lord, Jesus Christ, the agent of creation and redemption. The confession Paul makes is properly-speaking binitarian. It sees the two—God, the Father, and Lord, Jesus Christ—in unity. The two are one. 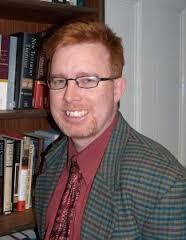 We are not dealing with any sort of primitive ditheism, that is, two separate and distinct gods. As a Jew Paul was an exclusive monotheist but now—given all that the God of Abraham has been up to—he understood that Jesus somehow must be reckoned within God’s unique covenant identity. We should not fail to notice that the title “Lord” here, associated as it is with Jesus, has its roots in the Shema. Spoken versions of the prayer substituted Adonay (Lord) for the divine name out of reverence for the name, but it is clear the original contains the covenant name of God: “Hear, O Israel: The LORD (YHWH) is our God, the LORD (YHWH) is One” (Deut 6:4, my translation). In The Voice we translated every occurrence of the divine name as “The Eternal One” or “Eternal One.” You can read about that in earlier posts. The link between YHWH and Jesus in Paul’s version is unmistakable and remarkable. What makes it all the more remarkable is that Jesus is not a figure of the ancient past whose legend and stature build over the centuries, but a man who recently walked the earth with people Paul himself had met and knew (Galatians 1). The claim is audacious. The link—if it were a fiction—would be scandalous.